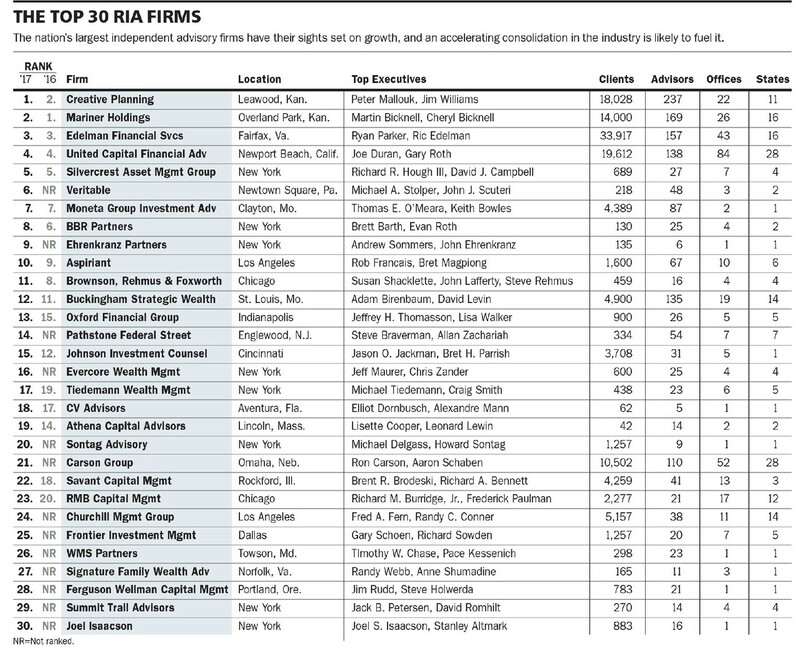 Evercore Wealth Management was ranked among the top 30 Registered Investment Advisory firms, or RIAs, in the United States by Barron’s. The ranking, which Barron’s subscribers can view here, is based on three general categories of factors: assets, revenue, and quality of practice – with multiple factors and calculation in each of these categories. Please contact Jay Springer at Evercore Wealth Management at springer@evercore.com or your nearest Evercore office (see here) for further information about the firm.